The Riot Theater Company is dedicated to presenting the best entertainment possible to the Boston area. The Riot Theater Company has been entertaining audiences in the Boston area in various forms since 2006. In 2010, they became a 501(c) 3 Non-Profit organization, and in 2014 opened The Riot Theater in Jamaica Plain. 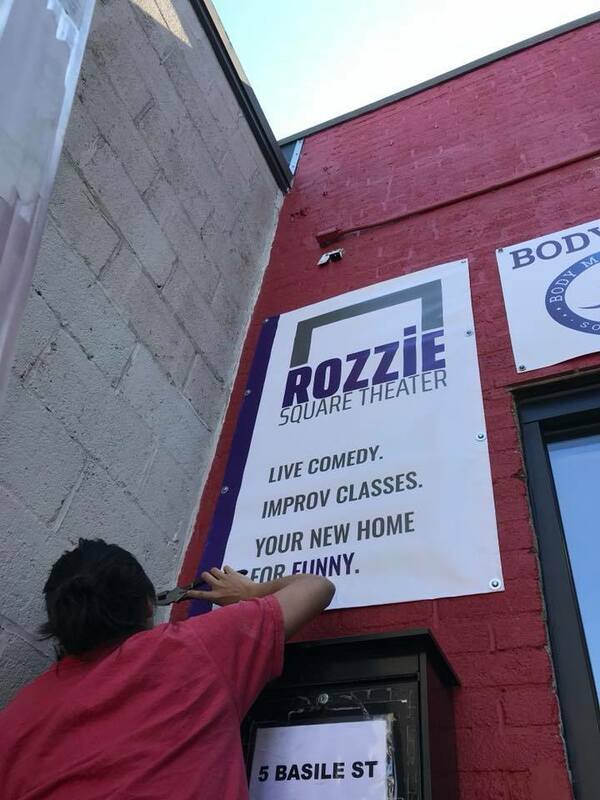 In 2018, they moved, along with CSz Boston, to the Rozzie Square Theater, where they currently reside. The Riot Theater Company seeks to create a home for Boston's best comedy. Boston has an abundance of talent and never enough stages to put it on. Riot Theater, in residence at The Rozzie Square Theater, seeks to bring quality comedy to a part of Boston that has a wealth of support for the arts but little in the way of a regular comedy scene. Read more about our new home here. At The Rozzie Square Theater, the Riot Theater Company produces shows Fridays at 10pm and Saturdays at 8pm and 10pm. See Shows and Schedule for more details. The Rozzie Square Theater does not have a dedicated parking lot. We are conveniently located near two local lots: MBTA (Roslindale Station) lower lot at South St & Belgrade Ave, and the Roslindale Municipal Lot (City Lot #009). Yes. Our location is completely handicap-accessible, including accessible bathrooms for all patrons. Improv is for everyone. Because the world needs laughter.